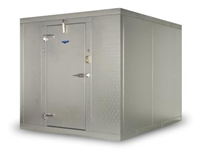 AccuTech Refrigeration has specially trained technicians to ensure that your walk in cooler/ freezer will be back online as quickly as possible. Our technicians have years of experience in the trade and have attended countless technical seminars provided by manufactures. This keeps us up to date on new innovations. Call us today and we'll get you back online. With almost 20 years in the refrigeration trade we have seen it all. Our technicians keep up on product changes and maintain great relationships with manufactures and parts suppliers. Our goal is to get you back online as quickly as possible. 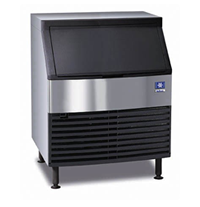 Weather your ice machine just needs routine cleaning or just won't stay online. Our technicians are here for you. We service all major brands and have assess to manufactures parts to get the job done right. We can also provide you with recommendations on new equipment purchase. Keep your units running great this summer. Watch this useful how to video and you'll see less of us. 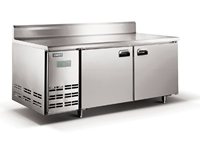 Get any 2 commercial refrigerators/freezers for only $150 & only $20 for each additional unit. Commercial air conditioning service special $150. Cost includes new filters (limit 2) standard belt replacement (X-1) and condenser wash. Additional units for $40 each. "I highly recommend him and his company." Tracy BischoffI have known Ryan since 1999, and have used his services several times at my daycare centers. Not only is he quick to respond to a call, he is also fairly priced, and will tell you if you really don't need service at that time. He then will follow up with a reminder when service is due. I highly recommend him and his company. Tracy Bischoff. Growing With Pride Preschool & Childcare, Tualatin, Oregon. Copyright (c) 2013 AccuTechRefrigerationContractors,LLC. All rights reserved.